Introducing the second generation of the CPAP interface, the Nasal-Aire II®. This unit shares many of the comfort and compliance benefits of the original Nasal-Aire®, adding improved performance and a reduction in sound level. 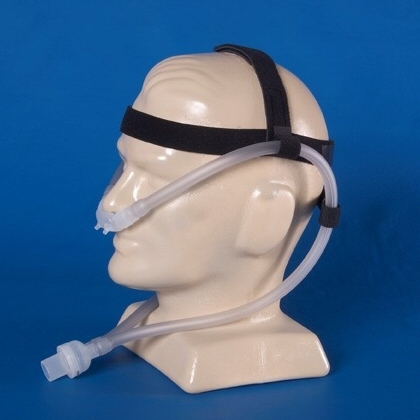 Introducing the second generation of the CPAP interface, the Nasal-Aire II®. This unit shares many of the comfort and compliance benefits of the original Nasal-Aire®, adding improved performance and a reduction in sound level. 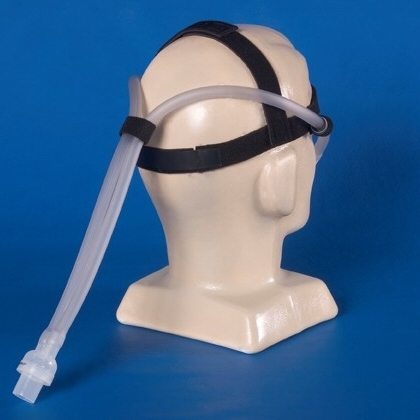 Nasal-Aire II® is sold with all six sizes for easy fitting and includes optional headgear for stability. A sizing gauge is available for easy and accurate fitting. This revolutionary design involves no bulky headgear or straps, can be worn over the ears or down on the chest, and is designed for the ultimate in patient comfort and convenience.